TVR Media are a professional voice recording and audio presentation company based in Manchester, UK. 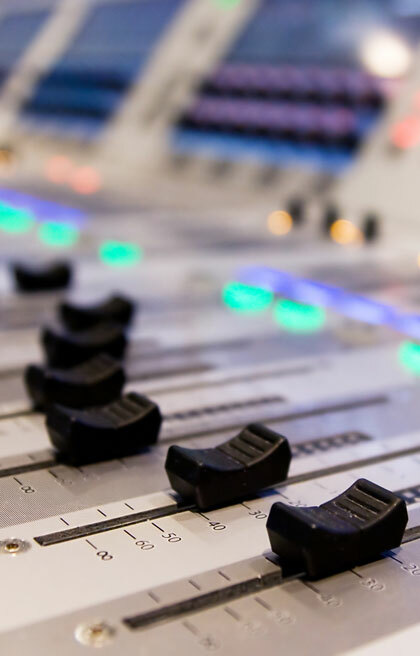 We specialise in producing high quality studio recordings for telephony and tannoy systems, audio clips, voice overs and a variety of other business applications, where professional sound is paramount. In the same way you use a professional to design your company logo, website and marketing literature to perfect your brand and your 'look', you should not neglect the 'sound' of your company. Welcome your callers into your Company. Telephony is a huge part of business to business communication. It's your 'front door'. How a call is answered and dealt with is the first impression that your potential client gets when contacting you. You ensure clients are welcomed at your door and at TVR Media we can ensure that welcome message is extended to your telephone system. Our Marketing on Hold and Out of Hours messaging services are also invaluable. From informing callers about any additional services you provide, to driving more traffic to your website, our in house professional actors and actresses have the voice to express a passion for your business.